Online Equipment Rental: Where Do We Go from Here? The widespread adoption of mobile devices and the internet have impacted virtually every aspect of our lives. Smartphones and tablets are always within reach, and finding answers to questions or making a purchase is only a few clicks or voice commands away. But what does this technology revolution mean for the equipment rental industry, which has traditionally been a handshake business? How do manufacturers and suppliers meet the challenges of growing online rental marketplaces, and ultimately, how do they benefit from them? There’s been a lot of hope and hype, and plenty of fear, uncertainty, and doubt surrounding online and mobile technologies. But adoption is happening quickly, and for many industries, including heavy equipment rental, these technologies are adding value across every aspect of operations. As we look at the future of online marketplaces and transactions in equipment rental, it’s important to focus on the key drivers behind their growth. In the end, success is not about the technology and building new websites, it’s about the speed of communications, reliable network partners, and most importantly, data analytics. Digital transactions are going to increase and more rental companies will move online. Customers are already online, and the volume and velocity of online customer rental activity will only increase. In addition, the larger national rental companies have already made a strong online push to secure market share along with expanding their breadth of offerings. Partnering with the right companies to leverage industry knowledge and connections will expand business opportunities. Size, reach and experience will matter, and these are the reasons why BigRentz spent the first few years building a supplier partner base, which consists of more than 1,500 suppliers and over 7,500 nationwide locations. You need access to a broad selection and volume of equipment to meet the needs of the online community. Data analytics will be critical. The analytics-based knowledge of the market will be key to navigating through market turbulence and finding blue (ocean) markets – areas with less competition. Data will also drive inventory and product selection, helping suppliers and rental yards understand what products to invest in or to close down. More competition for smaller independent rental companies. As online marketplaces expand, bringing with them national rental companies, independent, specialty rental companies that have thrived in small, local markets, should expect more competition. The shift to digital is not something that will only impact the large players in the industry. Rather, all rental companies need to figure out how they’re going to operate in this new environment. Unfortunately, smaller companies do not have the budget, resources or expertise to effectively compete online against the larger national companies. From our experience, it’s clear they are already looking for ways to find customers and revenue from the online channel without having to make huge investments in this area. Partnering with an online company that already has the industry knowledge and connections can be an effective strategy for them. 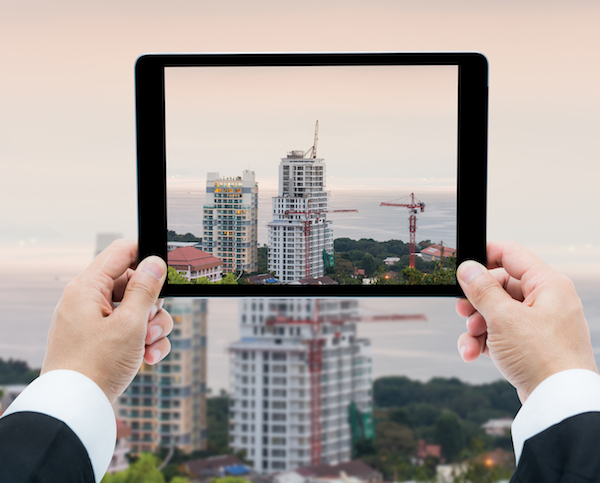 Rather than investing in their own online and mobile solutions, they can increase rental opportunities by leveraging their partner tools that were built from the ground up to market and facilitate the digital transaction. Together, they can create a better online space to rent construction equipment. One of the biggest benefits for smaller companies to partner with online rental marketplaces, such as BigRentz, is that they won’t have to navigate the digital waters alone. BigRentz has established best-in-class-digital marketing and simply passes that expertise onto equipment suppliers and manufacturers. The results for BigRentz partners, large and small, are an increased utilization of equipment and greater access to new types of customers that existing sales efforts are not focused on reaching. For smaller, regional rental companies, this is particularly important because many larger regional or nationwide customers aren’t familiar with them. Online rental marketplaces have helped thousands of small and regional rental companies increase fleet utilization and find new customers. There really is no risk to suppliers because the business is completely additive to their existing customer base. When it comes to selecting a digital partner, it’s important to look at the company’s expertise and track record. Tons of “tech companies” have discovered the rental industry but have little understanding about the equipment rental process, from what the customers need and want, and what the rental companies need and want, to all the many things that can go wrong (and how to mitigate them). It can be easy for companies to be fooled by start-ups with major venture capital investment, but with little practical experience in the industry. To avoid the risk, companies should look for a partner that has the network of equipment suppliers, as well as a history of helping match renters with suppliers. Technology and construction equipment are two words not normally found in the same sentence. While the industry has traditionally lagged behind the times, companies in the equipment rental industry are increasingly turning to cutting-edge technology to make better fleet choices. By leveraging technology and developing a national marketplace, BigRentz and its partners are creating a better way to rent construction equipment; one that helps rental companies of all sizes expand their reach and rental opportunities. Jim Arabia is a marketing and branding executive with over 20 years of experience leading businesses with growth initiatives. In his role as Vice President of Marketing, Jim’s responsibilities include leading market positioning strategies, creating programs to align and support the strategic vision, and directing the activities of the brand advertising efforts.